A nurse anesthetist essentially has the same capabilities as an anesthesiologist in that they are skilled at administering anesthesia and also at monitoring the well being of patients under anesthesia. The educational path to becoming a nurse anesthetist is an extensive one that results in high prestige and increased professional respect. 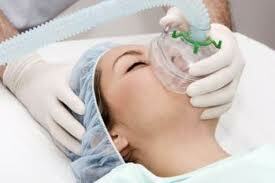 Nurse anesthetists become nationally certified and therefore have the ability to practice in any state they choose. As one of the best paid careers in the nursing industry, it is also an extremely popular option for ambitious nurses to pursue. Nurse anesthetists are responsible for performing a physical assessment of the patient both before they undergo surgery as well as during the surgical procedure. Naturally, one of their key responsibilities involves the administration of anesthesia when necessary before and during the surgical procedure. After surgery, a patient’s recovery from the anesthesia must be monitored closely as different individuals tend to react in different ways. The nurse anesthetist is also primarily responsible for dealing with a patient’s post-operative needs in the hours immediately following surgery. 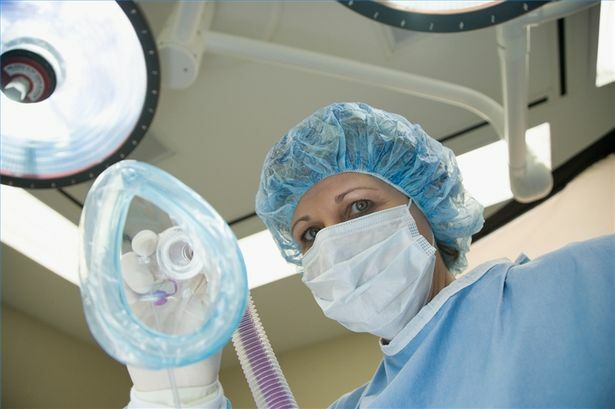 Nurse anesthetists are employed in any setting where surgery is performed on a fairly routine basis. 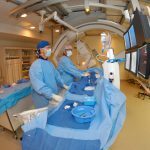 One of the more common places to find employment in this specialty is in a hospital operating room. However, it must be noted that there are other employment options available to you. For example, you could work in an ambulatory surgical unit, or in a pain clinic. 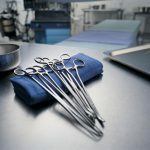 In some cases you could work in a physician’s office as some minor routine procedures can be performed without the necessity of an operating room. For those adventurous souls out there, the U.S. military also employs nurse anesthetists. To begin with you must hold a bachelor’s degree in nursing or in another appropriate subject (the acceptability of your major will be determined by the specific school at which you apply). You also need to hold an RN license. Last but not least, you must have at least a year of acute nursing experience (once again the definition of ‘acute nursing experience’ will be determined by the specific school at which you apply). Meeting these requirements will gain you access to a nurse anesthetist program which is, effectively, a master’s degree program. One prerequisite is that you are someone who takes pride in working long hours. 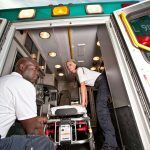 No matter what nursing career you embark on, you will be required to do intensive shift work. Like other nurses, nurse anesthetists must be able to get on well with other people. Even though you will not be involved with the patient for long periods of time, a good bedside manner and compassion will still be required for the time you do spend with your patients. You will also need to be someone who is comfortable around machines and needles as these will form a major part of your day to day activities as a nurse anesthetist. Skills in this regard will be taught during your training, but it will help if you have a natural ability to cope with both. 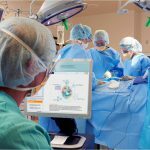 As nurse anesthetists frequently work alone, you need to be someone who can function independently and who does not rely too heavily on interaction with your colleagues. The first step in your educational path to becoming a nurse anesthetist lies in earning a bachelor’s degree in nursing. You can do this by entering a bachelor’s degree program immediately, or you can upgrade your RN qualification to a bachelor’s degree qualification through an RN to BSN program. There are also accelerated BSN programs for individuals who hold a bachelor’s degree in an unrelated major. Once you have met these basic educational prerequisites (as well as gaining the relevant number of years of experience) you will be eligible to apply at nurse anesthetist schools. An important aspect to keep in mind at this point is your choice of school. It is as important to select a school that is in line with your personal goals and ambitions as it is to select a school that has an excellent reputation. The nurse anesthetist program that you enroll in is effectively a master’s degree program as it is essential that you have a Master of Science in Nursing (MSN) degree. Following the completion of your master’s degree program, you will have to pass a certification exam to call yourself a certified registered nurse anesthetist (CRNA). Passing the test will allow you to become licensed with your State Board, although you may have to pay an additional licensing fee depending on which state you are based in. To become a nurse anesthetist you must return to school and complete a nurse anesthetist training program, which could take anything from 24 to 36 months depending on the school that you attend. This program will result in a master’s degree in nursing. Although the specific degree programs that are available to you may differ slightly in terms of course content, they should all cover anatomy and physiology, pathophysiology, biochemistry, chemistry, physics, pharmacology, Principles of Anesthesia, and Management and Advanced Practice Nursing. In order to maintain your license you will need to complete continuing education courses. When selecting these courses, a focus on those related to anesthesia will be helpful for you in that they will keep your skills up to date and make your resume substantially more attractive to potential future employers. Your State Board of Nursing can provide you with information regarding whether or not a school is accredited. As you need to have a bachelor’s degree (BSN) in order to enter a nurse anesthetist program (which is essentially a master’s degree), an associate’s degree is simply not good enough. However, an associate’s degree will allow you to become an RN, following which you can do an RN to BSN bridge course. In a way, your associate’s degree can be used as a stepping stone to achieving your career goals. When selecting a school through which to do your associate’s degree, make sure that it is accredited and that it meets your personal requirements. Applying for more than one school will increase your chances of being accepted. In addition to your RN license you also need to gain national certification in order to be a nurse anesthetist. This can be achieved by taking the national certification exam. It is important to note that, in order for certification to be maintained, a nurse anesthetist must obtain a minimum of 40 hours of continuing education every two years. Continuing education courses are offered online as well as through a number of nursing schools and health care facilities. This should be seen as an opportunity to expand your knowledge, and not as an inconvenience. Because the clinical component consists of hands-on training, it is impossible to complete it through distance or online education. However, provided that you make arrangements to complete your practical training in some way at a genuine health care institution, there is no reason why you should not complete your theory training partially or entirely online. As there are several online schools out there that are not accredited, you must make this decision carefully. The job outlook for nurse anesthetists is extremely good as this is one of the most advanced nursing specialties. The primary reason for this is that nurse anesthetists are trained to give advanced and high quality care at a lower cost than anesthesiologists. 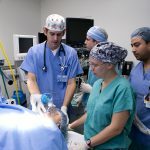 This makes their services extremely valuable in health care facilities where costs need to be cut and kept at a reasonable level, and, as the training requirements for this specialty become more and more stringent, it seems that in the future you may have better luck finding work as a nurse anesthetist than as an anesthesiologist. Related to this point is the fact that there are simply more nurse anesthetists available than anesthesiologists. In general the nursing profession is growing at an explosive rate, and we can expect a 26 percent increase in employment through 2020, which is much faster than any other industry. Men and women earn slightly different rates in this nursing specialty. Women, who make up 56% of the industry, earn about $103,921 – $150,878 annually, while men, who make up 44% of the industry, earn more at $120,171 – $160,403 annually. Some cities pay more than others. The top paying cities are Denver in Colorado, Portland in Oregon, San Francisco in California, Phoenix in Arizona, Boston in Massachusetts, Houston in Texas, St. Louis in Missouri, Minneapolis in Minnesota, New York in New York, Cincinnati in Ohio, Little Rock in Arkansas, Baltimore in Maryland, Oklahoma City in Oklahoma, Miami in Florida, Chicago in Illinois, Seattle in Washington, Louisville in Kentucky, Jacksonville in Florida, Cleveland in Ohio, and Atlanta in Georgia. The salary is an extremely attractive reason to become a nurse anesthetist, but there are other considerations to keep in mind. For example, the path to becoming a nurse anesthetist is a long one, and once you are qualified you will be more or less on your own. Consequently, it is not a line of work that suits every nurse. When choosing a specialty, it is not enough to consider the salary and working hours. You also need to assess the likelihood that you will be happy, and, therefore, effective in that particular line of work.